Javier Gándara, CEO of easyJet in Spain, Portugal The Netherlands. 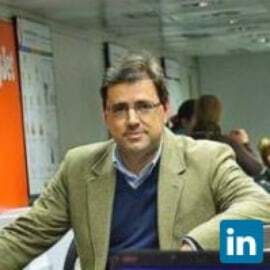 Before joining easyJet, Javier worked as a Senior Manager Operations for Spain and Portugal in the international company FedEX from 2000. In 2007 he was named Operations Manager by easyJet in Spain, which was his job until the 1st of May, when he became easyJet Country Manager for Spain, Portugal and The Netherlands. He is graduated in aeronautic engineering by the UPM (Universidad Politécnica de Madrid) and he also has an MBA by the IE Business School. Javier Gándara bets for a sustainable growth of easyJet in Spain, which is a key market for the airline. Despite the economic crisis, easyJet has continued betting for Spain with the opening of its new base in Barcelona in February 2016. As he represents the airline in Spain, he works closely with the Spanish public authorities, to assure a sustainable growth for easyJet in the country. Javier was appointed president of ALA (Airline Association) in June 2017. Javier Gándara is married and he has two children.